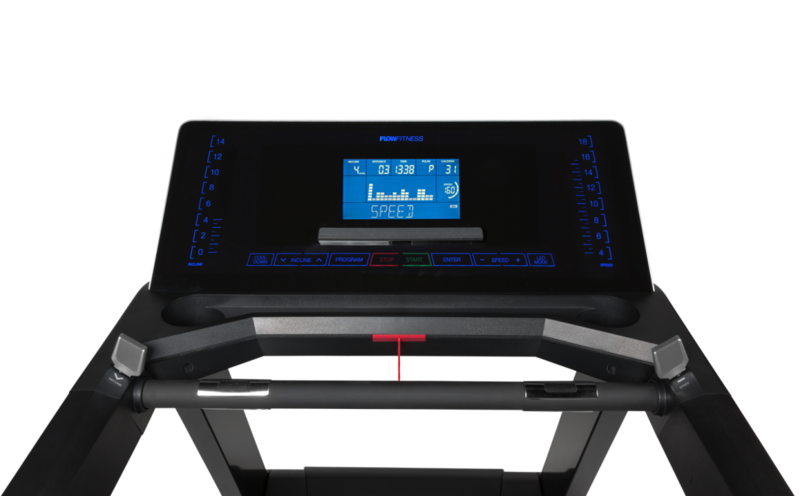 Buy 2018 Flow Fitness Perform T3i Commercial Treadmill online from Complete Gyms. See our other Cardio products. Top speed of 24km/h (15.0 mph). 157 x 56cm (61.8 x 22.0 inches) running deck with guide lights on each side. 16 x quick keys to adjust incline or speed on the main display. This premium fitness equipment is of the best quality and is sure to stand the test of time. 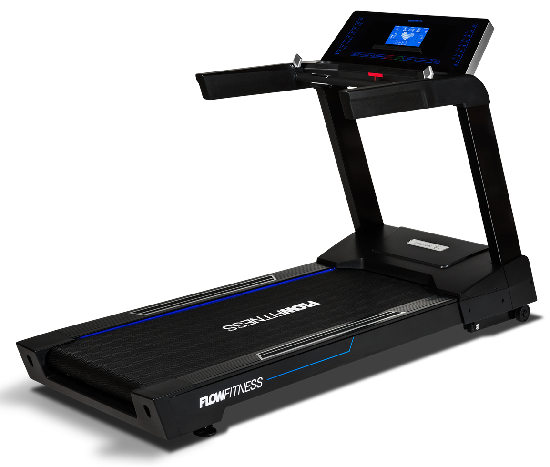 The Flow FitnessT3i has the largest running surface in its market. A running deck measuring 157 x 56cm provides safety and comfort while running, even at high speeds when the steps are less controlled. Rapid shift paddle controls on the main display for incline & speed. Maximum user weight of 200KG (441 LBS). Commercial gym quality shock absorption system. Train with various free apps such as Kinomap, Fit Hi Way or iConsole+ to give your workout a new dimension. The adjustment of speed or incline made easier thanks to the 16 quick keys on the display. The treadmill features 30 unique training programmes. Use Fit Hi-Way, iConsole+ or Kinomap to add a completely new dimension to your workout.